As temperatures in Barcelona soar well above the comfort zone during the summer months, visitors and locals alike begin to search for a place to cool off. Aside from tucking into an ice cream or spending the day at the beach, one way to beat the heat is to head for a swimming pool in Barcelona. Luckily, the Catalan capital has plenty of swimming pools to choose from. Whether you’re looking for some beach towel lounging or you want to practice those swan dives, there’s something for everyone. Read on to find out which pools in Barcelona make for the ideal spots to escape the heat this summer! With a spectacular view overlooking the famous Barceloneta Beach, this pool provides the perfect setting away from the hustle of the busy sands. Swim some lengths at the indoor pool, making more room for those tasty tapas or bronze yourself on the deck as you catch a quick siesta at the large outdoor pool. Hit this urban oasis for a day of tranquility and relaxation. With a large, lake-style pool, palm trees, fountains and a picnic area, you are sure to feel a million miles away from the never-ending excitement in the city here. So make a day of it, pack up some treats and perch poolside with your favorite book this summer in Barcelona. 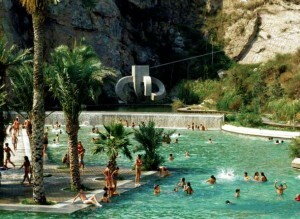 Parc del Fòrum offers a fantastic, alternative poolside experience. With actual Mediterranean water in the bathing area, this unique version of a pool has a beach-y feel – minus the sand. The innovative idea for this new pool in Barcelona came about for the Universal Forum of Cultures in 2004 and since then it has been free of charge to the public. If you’re in need of a bit of an adrenaline rush, the Fòrum bathing area is the spot for you. Jump on the mechanical towrope in the center of the water sports section to brush up on those wakeboarding and water skiing skills! You’ll be a pro in no time! Whether you are an expert on Barcelona or a first timer in the city, you will have definitely heard of the magical Montjuïc. With museums, light shows, fountains and much more, it is one of Barcelona’s most diverse attractions. This popular area is also home to one of the best swimming pools in Barcelona: the Piscina Municipal de Montjuïc. 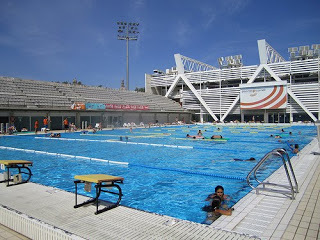 Designed in 1992 for the Olympic diving events, the pool at Montjuïc has been renovated several times over the years to host various water sport competitions. 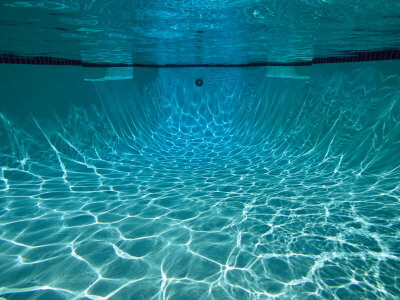 During the sizzling months, this pool opens up to the public where you can enjoy some sunshine on the deck, swim a few laps or follow in the footsteps of previous champions and jump off the high diving board. 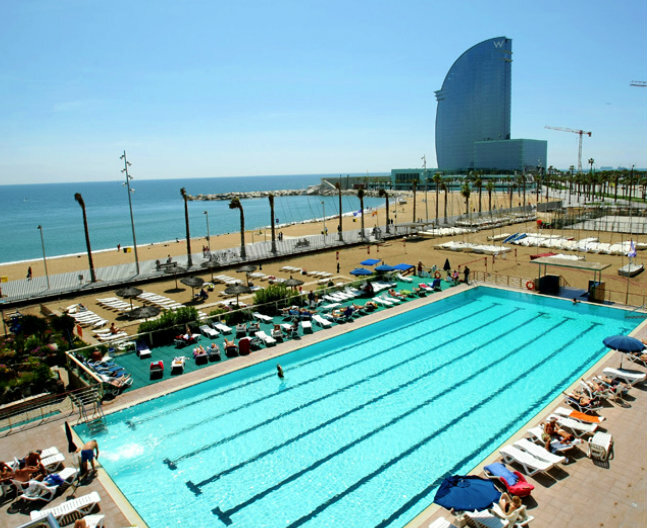 So whether you come to this Mediterranean hotspot for some sun basking, picnics or aquatic exercise to cool down, nothing feels better than a cool dip on a hot summer’s day at one of the swimming pools in Barcelona. With the wide variety of blue lagoons on offer, you can be sure that when the temperatures begin to rise, you will beat the heat! This entry was posted in Activities, Home, Summer, Things to do and tagged areas in barcelona, barcelona, barcelona activities, Barcelona activities for children, barcelona attractions, barcelona beaches, barcelona neighborhoods, barcelona tourist guide, pools in barcelona, summer activities barcelona, summer in barcelona, swimming pools barcelona, things to do in barcelona, tourism in barcelona, visiting barcelona. Bookmark the permalink.